You are here: Home / Everyday Posts / Ninja Curry! 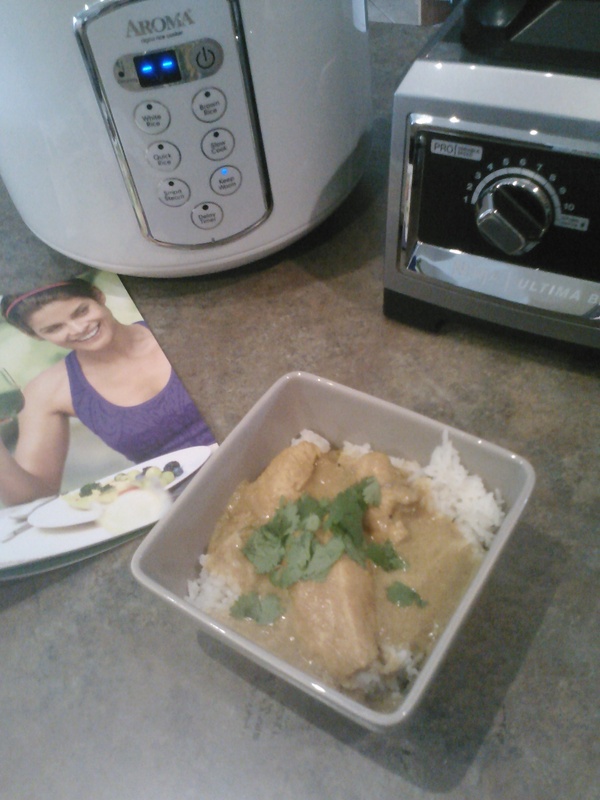 I’ve been dying to try my new Ninja Ultima Blender since I found a recipe for Thai Chicken Coconut Curry in the recipe guide which came in the box. Actually, there are various recipes that intrigue me including White Cheddar Cauliflower Soup, Ground Chicken Lettuce Cups, Chili Garlic Sauce, and the Ginger Pear Wakeup breakfast juice. The versatility of the Ninja Ultima is convenient–as is its high capacity (72 ounces), its sturdiness, how simple the control panel is to use, and its ability to be thrown into the dishwasher. It even comes with single-serve tumblers! The tumblers have an adapted lid, so you toss your smoothie ingredients in to the 12 ounce tumbler instead of the big pitcher, screw on the special lid which has blades on the inside, turn it upside down, fit it onto the base and flip on the switch! Super convenient and easy to clean! So, I made the curry recipe found in the recipe guide yesterday and it was too good not to share. If you already have your own curry recipe or taste preferences you can always alter and customize the recipe as you desire, but the original recipe that I’m posting here is pretty tasty. Of course, I’ve never met a curry I didn’t like–if the word curry appears in the name, I’m eating it and asking for seconds. 1. Add oil to a saucepan and saute garlic and onion until softened. 2. Add coconut milk, broth, curry paste, soy sauce, lime juice, brown sugar and turmeric. Stir to combine, then allow mixture to cool. 3. 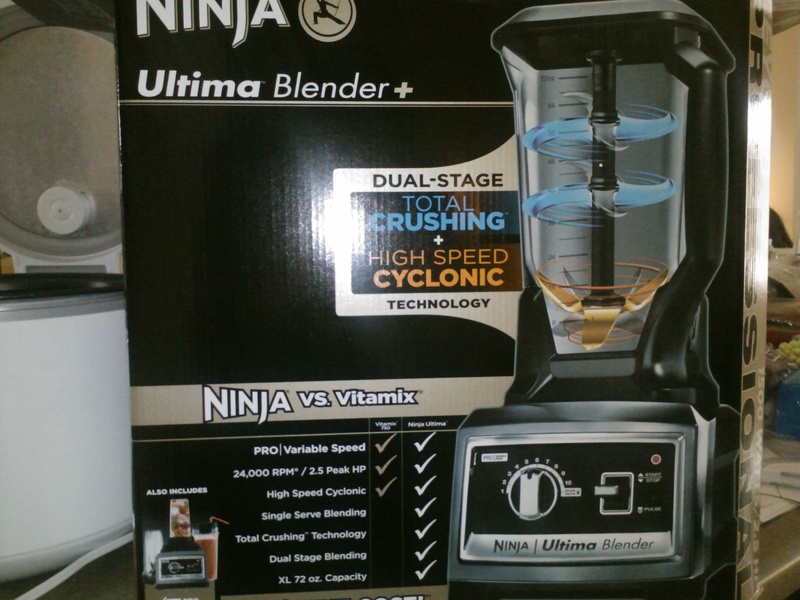 Transfer the cooled curry mixture to your Ninja Ultima Blender. Or, transfer it while it’s still hot if you think you can do it without burning or splashing yourself (this is what I did and I came out of it okay, but it’s still safer to be patient and wait for it to cool). 4. Plug in, select Speed 1, and flip up the switch to START. Slowly increase up to Speed 6 until smooth. Flip switch up again to stop. 5. 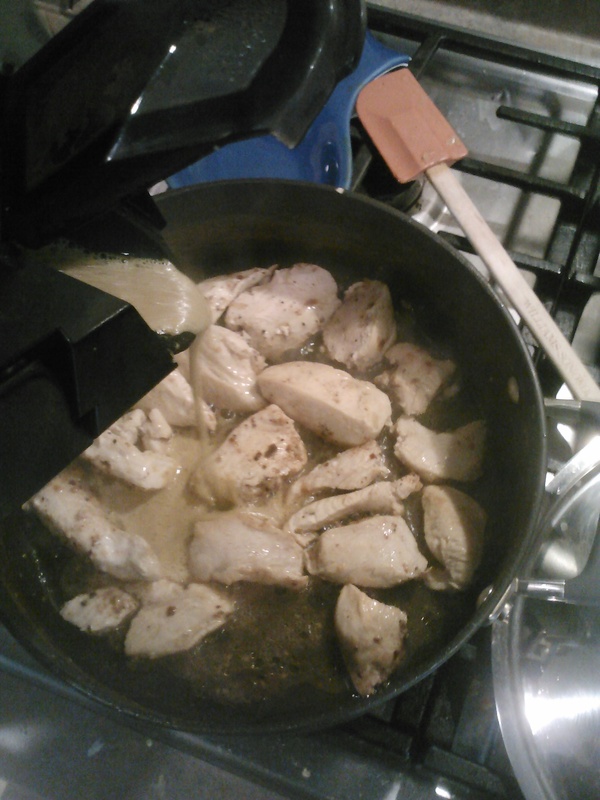 Add oil to the saucepan and begin browning your cut up chicken. Start your rice or noodles at this point. 6. Remove pitcher from the base, flip up the spout cover, and pour curry mixture into the saucepan and over the chicken. Simmer until your starch is ready. Plate it up and garnish as desired. 1) Don’t omit, or even skimp on, the lime juice! It adds such fresh flavor and brightens the dish. 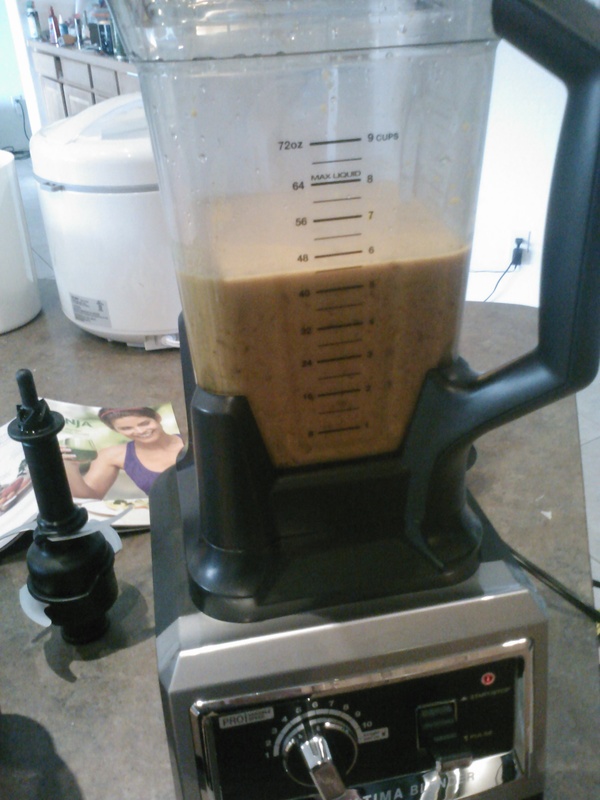 3) Do use your Ninja Ultima Blender to puree the curry soup mixture. 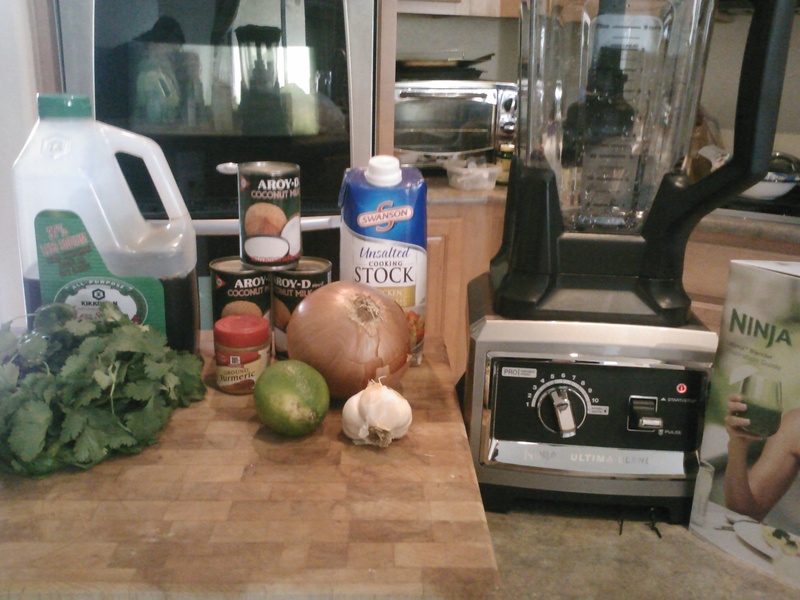 Skipping this step will result in a lazy looking, chunky soup and curry should be smooth. This step only takes about 20 seconds, and then you can toss the blender parts into the dishwasher and enjoy. 4) You could easily leave out the chicken for a #meatlessmonday dish, or add tofu. Or substitute shrimp or scallops for the chicken and that’d be delicious, too. There you have it: easy and delicious! What recipes do you use your Ninja Ultima Blender for? I was compensated for this post but all views are my own, as usual.